Instagram took the world by surprise. When the app was first introduced, it skyrocketed to 1 million users within 3 months. Today, that number is closer to 700 million and climbing. This means that the platform is an entirely different animal than it was a couple of years ago. It has evolved to have more power, more capabilities, and more adaptive perfection for its users. From where I stand, Instagram has never been more useful than it is right now for personal and business brand building. Later, I’ll get into detail about the endless opportunities and why you should not neglect this social media platform. Sure, you may ultimately decide that your target audience isn’t particularly an Instagram crowd. But it would be incredibly shortsighted to not — at the very least — test the platform. This is why I wrote this article. You need the right metrics and tools to build a successful Instagram campaign. I want to help you succeed on Instagram and harness the impact that it can have for your business. So what does success look like? It means attracting the usual stuff like followers, likes, mentions, and comments. It also means engaging on a deeper level with your audience and mapping that engagement into a marketing or sales goal. You’re connecting with users in a way that truly matters, and that’s going to have implications for the way you do business. In this article, I’ll show you how to get 300+ real, targeted Instagram followers per day. We’ll walk through a step-by-step process on how you can achieve this with no hassle at all. While I feel like this platform needs no introduction, some of you may be new to it. So, I’d like to give you a few quick facts. Instagram is a photo-sharing mobile app. It was launched in 2010 as a typical freebie app. There were a lot of other photo apps, but Instagram hit the sweet spot and started to grow exponentially. They grew so quickly and organically that Facebook took interest and bought them for $1 billion in April of 2012. As of April of 2017, Instagram has more than 700 million monthly active users! Instagram used to be a basic app. You took a picture, you put a filter on it (to make yourself look better), and then you shared it with your small Instagram following. That was it. No bells. No whistles. Nothing fancy. Today, Instagram is packed with tons of features, from automation features to fantastic filters. Once Snapchat started attracting millions of followers, and apps like Periscope leveraged live video, Instagram rushed to offer these features as well. For example, you can edit photos using more advanced photo editing features instead of relying on Instagram’s built-in filters. You can also post Stories. Stories appear at the top of your friends’ feeds and appear there for only 24 hours. If you want to keep your Stories discrete, you can send them only to select friends or curated groups. You can edit your pictures with text, drawing, and other special effects, much like Snapchat. Instagram’s Live Video feature is also catching on. It’s not like most live video platforms because the video disappears as soon as you stop streaming. You can watch live videos only while they’re being filmed. My goal in this article is to show you how to get followers, not teach you how to use every feature. Still, it’s important to be aware of these features, because you’re going to be using them as you grow your audience by the thousands per week. Some people will try to prop up their accounts by misrepresenting their reach – and by extension – their influence. They purchase followers and likes from black market sites so they can appeal to brands for affiliate marketing purposes. Others simply do it for superficial reasons. These fake followers are typically bots that add no value to the platform. Worse yet, they take away from the user experience that we all love. Spambots can’t really “like” your brand. They can’t give real insight that can impact your business. And they can’t spend real money. If you’re on Instagram purely for the social aspect, you can jump over to the next step. But if you’re interested in tying your efforts to a business or marketing goal, you need to determine what the overall purpose of your account is. Considering that more than 50% of Instagram users follow their favorite brands, you may want to tap into that and set some marketing goals. Make yourself accountable to a specific outcome. This way, you can measure your results, track your progress, and determine your ROI. Improve the effectiveness of all the steps that you take moving forward. Your content strategy and everything else you do will be dependent on the goals that you’re working towards. What does a goal look like on Instagram? It can be any number of the many uses that the platform provides. The more measurable, the better. You can make these more concrete by attaching specific numbers to them. While specificity is important, your goals don’t have to be set in stone. They can evolve as your business grows. They can take a complete turn if your vision changes. They can increase or decrease in scope. You are the architect of this plan. Now that you know what you’re working towards, it’s time to think about content. I can tell you with all certainty that this is a critical part of the Instagram success equation. Let’s briefly define content – it is anything you express through text, visuals, and whatever medium that Instagram allows. If you create random content, you will attract random people who couldn’t care less about you. These people will be spectators and passers-by. They won’t take any action. They won’t move any growth needles for your business. On the flip side, if you create content that is strategic and targeted, you will attract exactly the right kind of followers. They’ll care about your business, engage with your calls to action, and be of great value. The task now is to map your content strategy into the business goals that you came up with in step one. This will ensure that you create the most impactful kind of content. But first, let’s talk about something – often ignored – that’s critical to the success of your content strategy. Most people either don’t understand what context means for social media or they ignore it altogether. In the end, their content ends up missing the mark. Content vs. Context: Essentially, these two should not exist without each other. Content is what you create. Context is the meaning attached to what you create. Content marketing is delivering quality information to your audience. Context marketing is delivering the right information to the right person at the right moment. Do you see how they work as a team? How content would fall flat without context? The question now is, how do you achieve that balance? I like to think of content as the informational nugget and context as the stories that you use to deliver the message. The “How” element is another piece of the puzzle. It refers to the medium in which you’re going to deliver that content. On Instagram, users are conditioned for a medium that is largely visual, so you don’t have to spend time thinking about this. Photographs, videos, and stories are what will resonate with your audience. As you can imagine, context is all very nuanced and becomes increasingly difficult when you have a large following. Even in a niche market, different people will connect to different stories. Also, context switches as quickly as new information comes in. The only way you can get these answers, and be on top of it when it changes, is to consistently engage with your audience. Don’t just put out content and disappear. Establish feedback loops, monitor the conversations, and be present in the communities that form around your business. You’ll learn to tell the right stories and tell them well. Different types of Instagram content: When you understand context, your content strategy becomes amazingly simple. In the first step, you came up with specific goals for your Instagram account. These goals will determine the type of content that you create. People-centric content: Human faces are a big deal. You can’t succeed on Instagram without humanizing yourself and your brand. In fact, photos with faces get 38% more likes than those without. This type of content is especially powerful if your goal is to show off your company culture. Giving people a behind-the-scenes look at your team, their work processes, and how they interact with each other is digital gold. It evokes an emotional response in your audience and makes them feel personally connected to your business. Need some ideas for content that is people-centered? Employee-curated content. Allow your employees to take over your Instagram account on different days and post from their perspective. HubSpot is a perfect example with their hashtag, #hubspotemployeetakeover. Product or service-centric content: Looking to increase sales? You can publish product-specific content. Include strategically placed mockups of your products or showcase people raving about your services. Having a sales-oriented goal doesn’t mean you have to place the focus on the product or be overly promotional. Prop up your product with a gripping narrative. Nike does this visual storytelling brilliantly. They showcase their product by honoring great athletes. It’s the perfect balance of lifestyle and branded content. Text-based content: It’s no secret that quotes are a phenomenon on Instagram. It doesn’t matter what niche you’re in, motivation and inspiration will always have an impact. If you don’t have a lot of time or you’re just starting out on Instagram, I recommend starting off with quotes. They’re easy to create by using certain apps and are almost guaranteed to generate a lot of likes. User-centric content: Networks like Instagram run on user experience. This is where your content is created by other users. They could be your customers, brand advocates, influencers, site visitors, or any of your followers. Buffer increased their following by 300% when they started user-generated content campaigns. Greater SEO capital – Looking at the world’s top 20 largest brands, 25% of their search results are links to user-generated content. So how do you get other people to create your content? Be clear and specific about what you want people to create. While you want to give users as much creative license as possible, you also don’t want your content to be off-brand or off-message. What’s your angle? Earlier, I referenced setting goals for the overall function of your Instagram account. Goal mapping can also be looked at from the lens of specific campaigns. If you’re going to start a UGC campaign, decide what the outcome will be for your brand. Credit your content creators. This is a great way to build goodwill and positive relationships with your audience. It’s also the right thing to do when you’re using somebody else’s work. Incentivize users to create better quality content. You can tie your campaign to a contest where the best content creators win something related to your brand. If you want to increase engagement, campaigns that encourage users to be active on the platform are the way to go. This is where you add captions that call your users to action or ask them a question. I really do believe that there has never been anything as prolific as Instagram. It is a remarkable place for personal branding and sales. Any ordinary person who puts in the right combination of strategy and effort can win big on this platform. Yes, it can be challenging to build a following. Yes, there’s a lot of noise. Fashion bloggers or brands may post an outfit and ask their followers to “tag a friend who can pull this off” or “which pieces would you rock? 1. Select your theme (product sales, company culture, engagement, etc.). 2. Think about the Who, What, Why, When, Where, and How that surround your theme. 3. Create and publish a mix of content based on your ideas. The first thing you’ll need to do is to create an Instagram profile that people will be interested in. This matters. Your picture, your name, profile name, and your description are your digital billboard on Instagram. People will look at it, browse your photos, and check out your website. If you’re just getting started with Instagram, the process will be simple and straightforward during the signup process. If you already have an Instagram account, you can change your profile name and username. First, tap on the profile icon at the bottom right corner. Then, tap “Edit Profile” at the top of the page. Now, change each of the following to something that accurately reflects who you are and the value you provide. 1. Name. I recommend using your real name. 2. A profile photo. Use a photo that is warm, approachable, and trustworthy. 3. Username. Your username needs to be unique. If your name is already taken, add some words or phrases that make it distinct. 4. A URL. Point this to your website if you have one. This URL is the only clickable link that you’ll be able to provide on Instagram. 5. A bio. A brief description about yourself. Make this description as warm and engaging as possible. An emoji or two won’t hurt. How to increase the visibility of your Instagram profile? Making your profile swoon-worthy is just one part of the equation. You now have to drive as many eyes to your account as possible so you can increase your follower count and level of engagement. Promote your account via your email list. Place a link to your Instagram profile in the footer or closing of every newsletter. You can even include a link in your email signature of your personal and business emails. Place social media badges on your website. Do not overwhelm your users with a choice of 9 different social media platforms. Keep it to 3 or 4, including Instagram of course. Place your account handle on business cards, stickers, brand memorabilia, thank you notes when customers purchase a product and any other physical thing connected to your business. Ask your followers on Twitter, Pinterest, Facebook, and your other social networks that you’ve already built a following on to connect with you on Instagram. While cross-posting is not always a great idea, it’s possible to sync your Facebook account with your Instagram. This way your posts will appear on both platforms, and you can tap into your Facebook reach. Stunning visuals are the lifeblood of Instagram. That’s where it all started, and no matter how the platform evolves, it will always be a central part of it. In this step, you need to build a collection of attention-grabbing posts. Our brains are built for visual stories. In fact, we process images 60,000 times faster than text. If you want to tell visual stories that stick in the minds of your followers, you need to develop an overarching theme for your account. You come across as having put more thought and effort into your account (Even if you didn’t). The result is that your perceived value increases and people are more likely to follow you. Your brand will be more memorable. When you have consistent visuals, your brand image is continuously being reinforced every time you publish a post. On the other hand, if you publish content with no unifying marker, there’s no way you’ll stand out among the 4.2 billion posts that are published daily. If it means anything, the statistics are in your favor. It’s been tested and proven that great design converts better. Consistency breeds trust. When you show up with a degree of sameness, your followers come to depend on you. So how can you come up with a visual style guide for your profile? It’s easy – and you’ll also find that consistency does not have to mean boring. Tip 1 – Use similar brand elements that you use on your website and other social media platforms. Disclaimer: You don’t have to be repetitive and robotic. What you can do, however, is be consistent enough to evoke a feeling of familiarity in everything that you post. This includes fonts, brand colors, logos, and even the way in which you use language. Tip 2 – Experiment with patterns and shapes to create a unique layout. The way that the Instagram feed is laid out in a grid makes it great for creating uniform patterns. The checkerboard layout is quite popular but can be made unique in so many ways. To top it off, it looks great! I’ve seen accounts that post entirely in one color. The only variation is the different shades. I’ll be honest – it takes commitment, but the result is beautiful. If you don’t feel strongly about any particular color, you can always stick to a combination. Either way, color-based visual themes are very effective. Celebrities use this technique a lot. That’s because their accounts have different purposes and are used to document their lives rather than for branding. When you stick to one filter, all your images will have a congruent hue. If you’re building a personal brand and you haven’t niched yourself into a box, this is a great option. This is a literary technique that is used in movies, books, and other literature. For the purpose of your Instagram feed, it is a dominant element that frequently shows up in your visuals. If you’ve crafted a particular narrative for your business, you can tell that story using motifs. Virgin, Nike, and Apple do this very well on all their online platforms, including Instagram. Post original photos – No one likes to see an Instagram account that is stacked with stock photos or reposted viral pictures. They don’t connect and convert as well as real images. So, use your own photos. Make sure your photos are relevant – Whenever you post a photo, think about the group that you want to attract. Who are these people? What will grab their attention? Prompt followers to engage by using calls to action – We walked through this in detail when we looked at content strategy. The single best way to improve engagement is to write “user-action” captions for your posts. Use the Geotagging function – When you add a location to your photo, you’ll get more visibility. Why? Because your photo “lives” in that location. Anytime someone searches for photos taken within an area, they will see your photo. Instagram posts that include a location see 79% higher engagement than posts not tagged with a location. Tap “Add Location” on the new post screen. However, you can type in any location you want to, and Instagram will show you a list of the popular nearby locations. I recommend choosing a popular location, so your post will get more visibility. This is one of the most overlooked tactics in sharing photos. You should add several paragraphs of valuable written content to your post. Instagram will show only three lines of your image caption in user’s feeds. But that’s okay. If you can grab attention with those first three lines, you’ve won. Instagram has a nasty thing about not allowing line breaks. The easiest way I’ve found to overcome this issue is by writing my post in my Notes app, copying it, and pasting it into Instagram. To make things quicker, I open Notes on my Macbook which syncs with Notes my phone. I type the caption completely and spell-check it. I open the note on my phone and copy it. Then I open Instagram and paste it into the caption. Boom. Instant juicy content, and line breaks where I want them. A long and interesting image caption is the number one way that I’ve found to get people to comment on and like my posts. Don’t bury the lead. Yes, you have 2,200 characters which you want to use up, but your most important content should be written first. Two reasons: most people hate to read, and Instagram will only show 3-4 lines of text in users’ feeds. Always include a call-to-action. Ask a question, tell users what to do next after they read your post, encourage people to share, or anything else that will motivate them to engage. You have to lead with a great picture, but a good picture isn’t enough. Everyone’s already doing that. You have to add more value by producing more written content! You can Instagram all day long, but if you’re not using hashtags, you won’t grow your audience. Hashtags give you visibility. Instagram users hop around on hashtags like a bored person channel surfs. They click from hashtag to hashtag to hashtag, occasionally stopping in to check out an interesting user. But which hashtags should you use? If you use bland hashtags like #happy and #selfie, you’ll get some people to notice your post, but it won’t be the right kind of people. Your goal is to get targeted followers, remember? How do hashtags work – You may be tempted to use the same hashtag strategy as you do on Twitter or Facebook. Think of hashtags as a catalog system. When you post a piece of content, you use a relevant hashtag that describes your content. For example, if you’re a full-time traveler and you post a picture of you writing from your laptop on a beach in Thailand, you may use the hashtags #Digitalnomad, #Barefootwriter, #Thailand, and #Beachbum when you publish it on Instagram. Anyone who’s interested in the nomadic lifestyle or in visiting Thailand can find your content by searching for these hashtags. So in essence, they serve as navigation and also improve the overall user experience of Instagram. You now know how hashtags work. Let’s get into some best practices for using them on Instagram. Add hashtags in a comment, not in the actual photo – I recommend putting your hashtags in a comment on your own photo. Why? First, it looks a little bit nicer. Your image caption should be clean and nice-looking. Hashtags tend to make things look messy. Second, it keeps your caption distinct. Hashtags aren’t for people to see. They are for people to find you. Third, you can add more hashtags. If you’ve filled out your image caption at the character limit, don’t worry. You have more room in comments. Generic and popular hashtags like #instagood and #happy may have a larger reach, but they don’t have as much engagement as specific tags. More emotional appeal and as you know, emotion is the fast lane to the brain. Of course, you don’t want to be ultra-specific to the point that nobody would even think about searching for your hashtag. That would defeat the purpose. Use 30 hashtags – Here’s a good rule of thumb: No less than 5. No more than 30. Why no more than 30? If you add more than 30, Instagram won’t let you post the comment. Buffer found that posts with more than 11+ hashtags have more engagement. Bear in mind that, even though more hashtags are generally better, you want to have a fair balance of words and hashtags. If you’re going to use all 30 tags, make sure your caption is long. Step #1 – The first thing you want to do is create a spreadsheet or note file on your phone to store your hashtags. I recommend spending a couple of hours to put together a database of hashtags for your profile. It’s a more effective strategy as opposed to searching for them for individual posts. Go ahead and type a broad hashtag that is relevant to your audience. For example, you may type “#digitalmarketer.” Notice what happens in Instagram when you do this. Instagram shows you a list of popular hashtags. You don’t need to guess which ones are popular because you can see the post count on the right-hand side. Add as many of these hashtags as possible, as long as they are relevant. Doing this will give you a clear idea of the types of hashtags to use, and where to use them. When you find a list of hashtags that gets high levels of engagement, copying these and save them in your note file. That way, instead of typing them out every time, you can copy and paste them into your comment. Your competitors have the same target audience as you do so don’t be afraid to swipe the hashtags that they’re using. If it’s working for them, it will likely work for you. Sift through their feeds and take a note of popular posts and the corresponding hashtags. Not every tag in your database will be a success. The best way to know is to test them and see which ones outperform the rest. Key indicators would be engagement metrics like comments, likes, shares, follows, and mentions. If you don’t post on Instagram, no one is going to bother following you. Post 1-2 photos or videos per day. Add 5-30 Instagram stories per day. Post 1 live video per day at the same time each day. Post 1-2 photos per day. The most popular Instagrammers post a lot of pictures. There is a correlation between how often you post and how many followers you have. So why do you want to post every day? Because you’ll get more followers and more visibility (which also gives you more followers). Don’t stick to photos only. As Nike’s feed shows, you can get a lot of engagement from posting videos. Add 5-30 Instagram stories per day… Wow. That’s a lot of stories! Sure, but it’s relatively easy to do. You can post videos or still photos. I recommend a mix of both. Your Stories will cycle automatically like a video playlist. Even though each story lasts only 15 seconds, you can string them together to form a long video. Post 1 live video per day at the same time each day – Live video hasn’t taken off on Instagram like it has on Facebook, but it’s still powerful. I recommend doing your live video at the same time each day. Why? Because a live video appears only while it’s being broadcast. If you broadcast at random times — times when your followers aren’t actively on Instagram — no one is going to know you were even on live video. There’s an easy way to overcome Instagram’s live video limitations. Post a photo to your feed that announces the time you’ll be broadcasting live. Post a story every day that announces your upcoming live broadcast. You’re ready to roll. Your audience will be prepared for your broadcast, and ready to tune in. To start a live video, tap the camera in the upper left corner. Live videos are the first in line in the story carousel. In other words, as long as you’re live, more people will see you. The more often you can post live videos, the better. Experiment with different times of day to see which time works best. Believe it or not, everything we’ve discussed up to this point has been a simple introduction. You may be thinking what?! What about the massive amounts of followers? If you follow the steps above, you will be attracting users at a rate of 20+ per day, and probably more. First, you’ll get followers slowly, and then the speed picks up over time. During your first few days following this guide, you may only get 5 new followers a day. Within a week, however, the velocity will pick up. Now, however, it’s time to put things into hyper gear. In this step, I’ll show you how to find your tribe and prepare for an avalanche of followers. First, locate your top competitors. Who is the Instagram user who already has a big following in your niche? Find them, and start to follow their followers. Tap the find icon from the Instagram feed screen. You’ll see a display of popular videos and posts. Tap the “search” bar at the top. Tap “tags” and begin searching for a term that is relevant to your industry. I noticed that at “#socialmediamarketing” has nearly 2,900,000 posts, so I tap it first. Here’s what I see. There are nine photos at the top. These are considered “top posts,” because they were posted by users with a lot of followers, or they have a lot of likes and comments. One or more of these photos was posted by a power user — someone with a lot of followers. I’m going to tap one of the photos in the top. Immediately, I notice that this photo has 7,691 likes. That’s a lot of likes. I also notice that the photo was posted by @successes. I may have never heard of @successes, but they are obviously posting photos within my niche. And those photos are obviously popular. So, I tap their name in the upper left corner. Here’s what I see. I notice that they have 497k followers. This is a large following. I want to follow their followers. Here’s the rationale. If these 497k people chose to follow @successes, then they might choose to follow me, too. I’m in the same niche, same industry, and am providing just as much value (if not more!). I tap “497k” to see the list of followers. Yes, there’s a lot of noise. multiple times to find more influencers in your space. Also, you should find the influencers who have the most engaged audience. Repeat the above process every day as you seek to build new followers. Every time, the experience will be different. Experiment with it until you find the pattern that delivers the highest number of followers. Tap or swipe to tags. Type a tag that is relevant to your industry. There are probably dozens if not hundreds of tags you could use. This is where you should branch out and experiment with different tags. I also recommend exploring the “related” tags that Instagram displays at the top of the screen. You can find valuable tags and users that people are engaging in using this list. Tap a top post within that hashtag. Make sure that the account who posted has a lot of followers (rule of thumb: They should have more followers than people they are following). Tap the number of followers they have. How many users can you follow and at what rate? Nobody except a few select Instagram developers knows the exact numbers. Obviously, Instagram wants to keep users from abusing the system by spamming people with useless information. Therefore, they have some restrictions in place that keep you from following too many people. The limit seems to be 7,500. It’s going to take you a long time to reach 7,500. So what should you do? Follow at least 50 users per hour. If you try to follow too many people within a certain amount of time, you’ll no longer be able to follow people. Instagram won’t ban your account. They will simply prevent the “follow” button from working. What should you do then? Wait an hour, and try again. Most likely, you’ll be able to follow more people. Do you think that following 50 users might take too much time? It doesn’t. Here’s how it works. You can do this in just a few minutes each hour. Repeat this process as often as possible. As you follow users, many will begin to follow you back. If you are actively posting, engaging, and providing value, then you will quickly begin to attract a following. If you don’t have the time, or just simply don’t want to do this manually, you could use a service like SocialUpgrade to do it for you. Instagram isn’t just a broadcast platform. It’s a community of people who are helping each other, providing value, learning, and growing. Personally, I’ve found a lot of inspiration on Instagram. I’ve met new people. I’ve learned new things. It’s been a great place for personal development and networking. If someone follows you, follow them back. Obviously, you want to avoid following spam accounts. If someone comments on your photo, reply with a comment directed toward them. Mention them, using @, in the comment. Like the photos that have hashtags that you’re interested in. Comment on the photos that contain hashtags you’re interested in. Like other people’s comments on photos that you’re interested in. Send direct messages to people who you’re interested in, or who provide a lot of value. In your photo, tag users who you know personally, or with whom you’ve formed a relationship on Instagram. Ask questions or invite feedback in your posts. There’s a difference between being a publisher on Instagram vs. being a participant. I encourage you to become a participant. Want to grow your Instagram in record time? Partnering with other influential users on the platform is the surest way to get there. This way, you get to tap into their following and funnel it into yours. Step #1: Invest enough time in the groundwork so you can choose the right partners. You want to select someone who’s not a direct competitor but has a following that matches your target audience. This way, the relationship can be set up for an equal exchange of value. 1. Spend time sifting through hundreds of profiles to find the best matches. It’s time-consuming, but it works best, particularly if you’re on a tight budget, or don’t want to spend any money at all. Research a hashtag and check out posts with lots of engagement (likes, shares, comments). If you don’t have much to leverage, it may be best to start off with a low-hanging target with moderate engagement. Look for users with a history of cross-promotion. The best method is to look at accounts that have content where someone else is attributed as the content creator. 2. Search through a database of influencers. Several sites make it easy to find and connect with the right partners. This approach is better suited if your goal is to increase brand awareness or ramp up product sales. Be mindful that many influencers listed on these databases may require monetary compensation rather than exchanging value without money. Step #2: After you’ve pinpointed the best partners, focus on what you can do for them. If you’re just growing your account and you want to tap into someone else’s following, they’re the ones with the leverage. This means that you have to think about what you can bring to the table. What do they need right now? How can you make their lives a little easier? What are they working on right now that you can contribute to? Answer these questions, and you have the perfect in. I recommend establishing a relationship first or at least get on their radar before you ask for something. This way, you’re more likely to succeed. There’s nothing like miscommunication to sour a relationship. Ideally, you want your partnerships to be long term. Otherwise, you’d have to continuously be searching for new influencers every single time. If you want to increase the momentum and impact of cross-promoted content, it will require some extra work. Promote the content on other social media networks, announce it to your email list, and ask users to engage. If you’ve ever thought long and hard about growing your Instagram account quickly. This tactic has been on your radar. Give out a freebie, and people will come knocking down your door, right? Anyone who has run a successful contest or challenge will tell you that this is not the case. In fact, it requires a fair amount of preparation and strategy. When done right, it can be an extremely effective way of getting traffic and new followers to your Instagram account. So… what type of contest will you run? The type of contest will determine how people can take part in your giveaway. Each of these methods of entry has their benefits and downsides. (i) Follow to win – Participants have to follow your account to enter the contest. Be prepared for a percentage of people to unfollow you after the contest is over. (ii) Like to win – Participants have to like one of your photos to enter. (iii) Comment to win – Participants have to comment on a piece of content to win. (iv) Enter your email to win – Participants have to submit their info to enter. If your goal is to get more followers, you may want to skip this method or combine it with another method that gives you that outcome. (v) Participate in the challenge to win – This is where you call on people to do something specific like posting a photo and using a hashtag that you’ve created for your challenge. You can also set your challenge across several days, asking participants to do something different on each day and posting their results. This is the most participative type of contest, and it has the highest level of engagement. (vi) A combination of methods – Participants have to perform several qualifying actions to enter the context. Any of the methods above can work together. It’s up to you and the goal that you have for your contest. Be mindful that you don’t want the barrier to entry to be so high that people get turned off by the process. What are the rules? Every contest needs a set of guidelines. It ensures that there are no disputes after the contest has run its course. How will the winner(s) be chosen and what is the prize? The tricky thing about using contests to grow your following is that you will be attracting people who aren’t necessarily interested in you or what you do. They simply want to win. The way to deal with that is to offer a prize that is closely aligned with your brand and business goals. If you have a self-improvement blog, your prize can be some inspirational and self-improvement books. If you own a tech company, you can give something that’s complementary to your product. This way, there’s overlap between the contest prize and your Instagram content. Participants will be less inclined to unfollow you after the contest is over. How will you promote the contest? Simply setting a contest in motion is not enough. You need to gain as much momentum and traction as possible. Submit your contest to a contest listing. It’s also a good idea to write a follow-up piece on the winner, and the prize received. If your prize was a service or something results-driven, you could create a thorough case study of the winner’s before and after. Sometimes the most effective way is simply to pay to play. That’s where paid promotions come in. As you know, Facebook purchased Instagram in 2012. This is significant because running ads on Instagram is the same as running Facebook ads. They’re controlled through the same ad manager. If you’ve run Facebook ads in the past, you’re likely familiar with this method. In any event, I’ll walk you through the process from start to finish. Step #1 – Connect your Instagram account to your Facebook page. After you click on “Add an account,” you’ll be prompted to fill in your Instagram username and password. You’ll then be asked to select which Facebook ad account you’d like to use for your Instagram campaign. If you have more than one ad account set up, select the appropriate one. Now that your accounts are connected, you can run your Instagram ads from your Facebook account. You can either click “Create Campaign” in the Ad Manager or go to the Power Editor to create your ad. Yes, there’s a lot of noiseness – Increase your brand awareness, local awareness, and reach. Consideration – For driving traffic, increasing engagement, getting more app installs, increasing video views, and lead generation. Conversion – For conversions, product sales, and store visits. Simply click on the category that you’re interested in. You can only have one campaign objective. Step #4 – Create your advert set and define your ad audience. Your audience can be defined by location, age, gender, language, and other detailed demographics. If you have saved audiences, you don’t have to create a new one. Next, select your ad placement, budget, and duration of the ad set. decided how much you’re going to spend and how long your ad will run for, it’s time to select the format of your ad. Finally, select your images and write your caption. You can preview the ad to make sure that everything looks good. Click “place order,” and that’s all there is to it. Retargeting ads are set up using more or less the same process as normal ads. Only this time, you’re targeting people who’ve already engaged with your business. Maybe they visited your site, your opt-in page, or abandoned their cart before making the final purchase. How do you know who those people are? The Facebook pixel. This is a tool which allows you to track the actions that people take on your website as well as measure the effectiveness of your ads. Ideally, you should install the pixel on your site even if you have no immediate intention of running an ad. This way, it can track as much data as possible, so your campaign will be more effective. To get the pixel on your site, you can either install it manually or use a WordPress plugin. If you’ve ever run Facebook Ads, chances are you’ve already created a pixel. If not, you’ll be asked to create one. Select a name for you Pixel and click “Create Pixel”. You will get a pixel code that you can copy and paste into your website header. Alternatively, you can simply install a WordPress plugin called PixelYourSite. All you have to do after that is enter your Pixel ID in the settings of the plugin. Your ID can be found on the top right-hand corner of your Ads Manager dashboard. Once your pixel has been installed, it will begin collecting data immediately. Running a retargeting campaign is simply a matter of creating a custom audience to include anyone who has visited your domain or specific pages. The remaining steps are the same as what we walked through earlier for setting normal Instagram Ads. Have you ever thought about how you can leverage offline interactions to grow your online presence? The thing is, social media platforms and websites are not the only places that people come into contact with your business. Particularly if you run an e-commerce site, you have plenty of opportunities to connect with users offline. First, add your Instagram handle to physical product packaging. The package that your product is shipped in is a unique part of the customer experience. It’s a direct point of contact and presents the most opportunity because many people neglect it. Next, consider placing a hashtag on the actual product. Several popular brands have used this technique where they print hashtags on their products. During the 2012 Olympics, Adidas and Nike featured their own campaign hashtags on their footwear. Finally, be sure to Incentivize customers to follow you and promote your brand. 1. Run a monthly contest asking customers to take a selfie with your product and post it on Instagram. Make sure they tag your Instagram page and add your specific hashtag. Every month, you can announce a different winner. Their followers will be inclined to check out your page and follow you. 2. As soon as you make a sale, ask customers to post a video talking about why they decided to invest in your product. Again, ensure that they tag you and use your product-specific hashtag. You can give them cash back or a coupon for a subsequent purchase. This can both increase sales and improve your following. 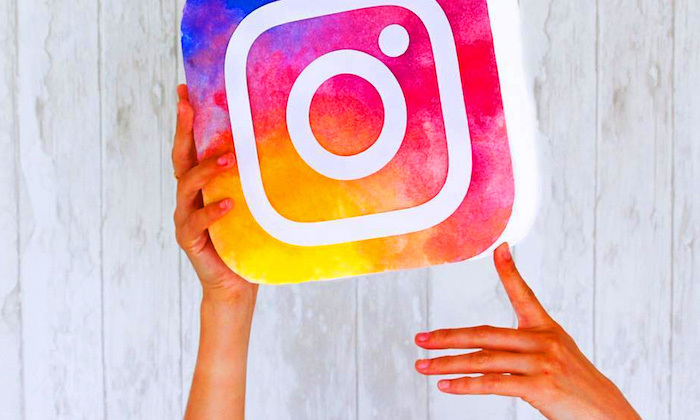 These steps are not the end-all, be-all of Instagram marketing. Instead, they are powerful strategies that you can bet on to increase your following. The platform is continuously evolving. New features are always being introduced. Old tactics become obsolete. It is up to you to track which methods are working for you. I’d say the best measure of success on Instagram is how engaged and loyal of a following that you have. Having hundreds of thousands of followers who don’t take the time to interact with your content is pointless. Keep monitoring the results that you get after implementing each step so you can keep optimizing them. Click through rate – How many people are clicking on your links. You can shorten your website links using a URL shortener like Bitly. It also allows you to track how these links perform. Traffic – How many unique visitors are you getting from Instagram to your website? Follower growth – How many followers have you gained? Which tactics had the biggest part to play? Have you lost any followers? Interactions per post – What’s the total social capital of each post. This includes the usual stuff like comments and shares. Growth of branded or product-specific hashtags – If you’ve created any hashtags, how has your popularity and reach increased? Social media, in general, can sometimes feel like fighting a losing battle. You try to create content that will grab attention, move masses of people to action, and get them hooked on you for good. The results are not always encouraging. But is there a way to build a powerful tribe of targeted followers? Absolutely. I have used these exact steps for myself and my clients to attract more than 300 followers every single day. One of the best parts about it is that these followers are loyal. As long as I’m providing valuable content and regularly contributing as a member of the community, they will keep showing up to engage with my content. Not only that, they’ll spread the word, and my following will continue to grow. Eventually, you’ll reach a similar point. You won’t have to follow other users as aggressively. Instead, people will start flocking to you. By that point, all your hard work would’ve paid off, and you’ll be well on your way to becoming a powerful Instagram influencer. Are you using Instagram as part of your marketing strategy? What are some of the tactics that are working for you?